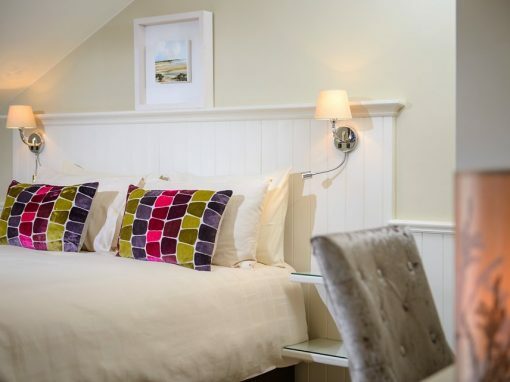 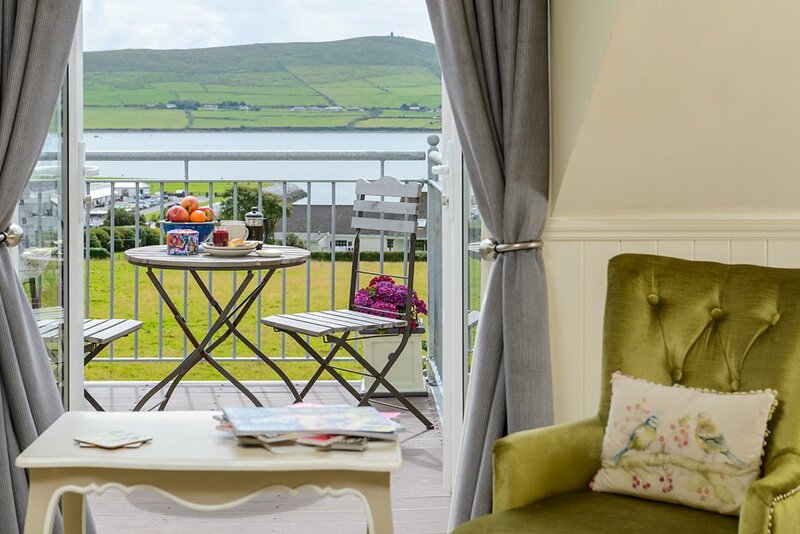 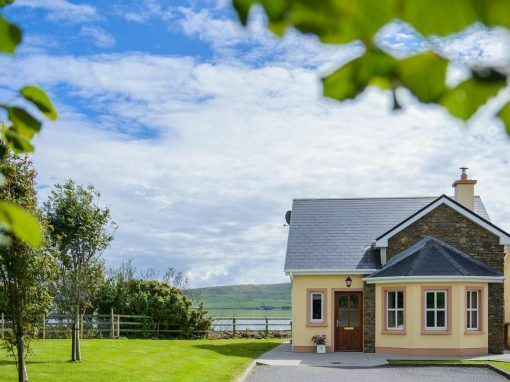 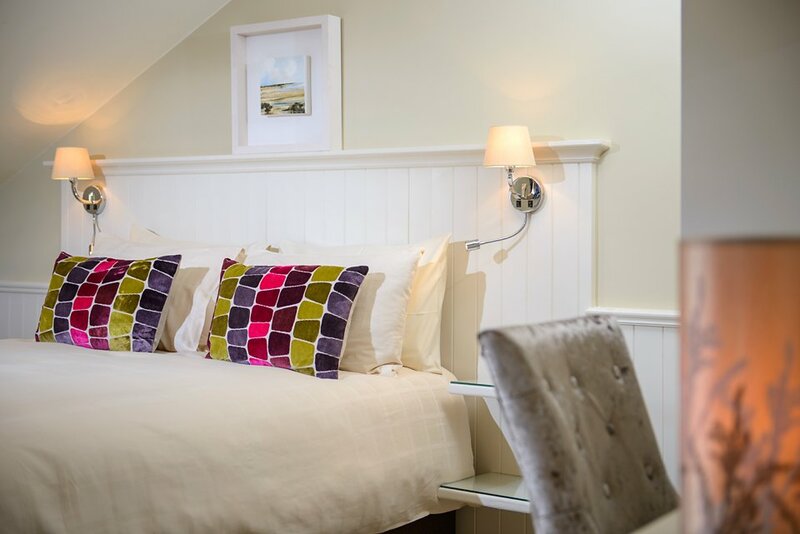 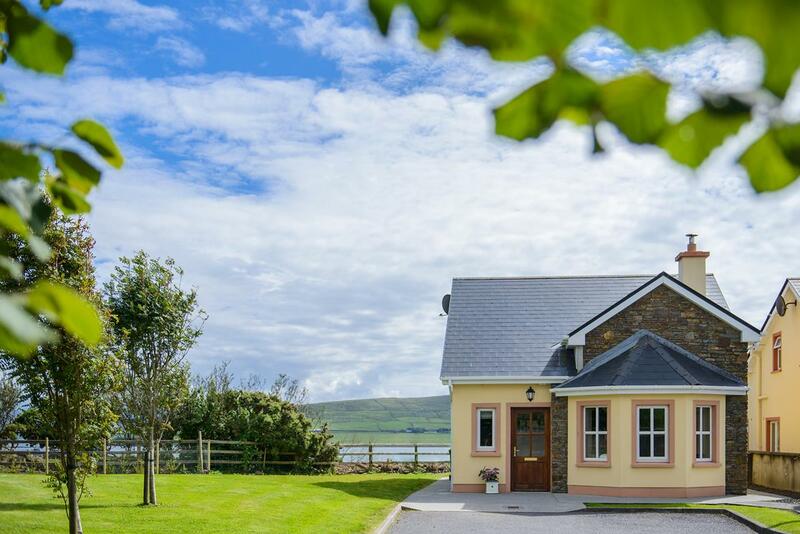 The Nest at Ard Na Mara is the perfect location for solo travellers or couples looking to escape & enjoy all that Dingle & it's surrounding Peninsula have to offer. 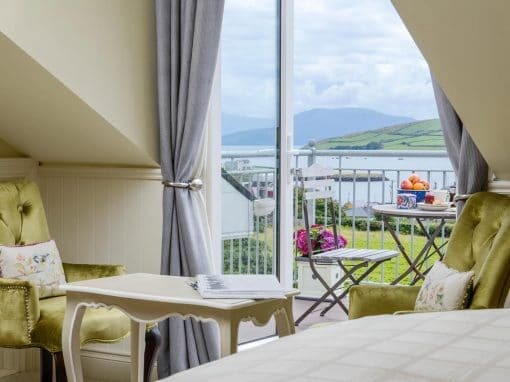 Located in Ard Na Mara overlooking the harbour & bay this first floor studio has all you will need for a heavenly stay only 5 minutes walk from the Marina & a few more minutes stroll to the heart of the town. 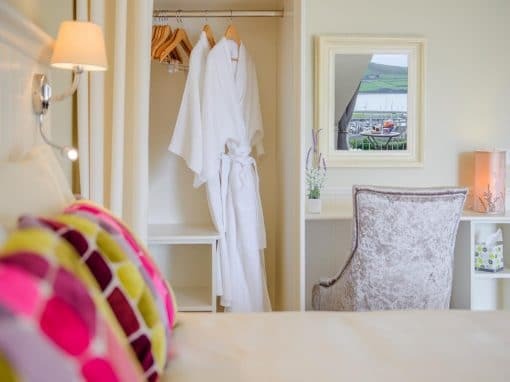 From the moment you enter the front door you will know that you have chosen the perfect location to stay whilst in Dingle. 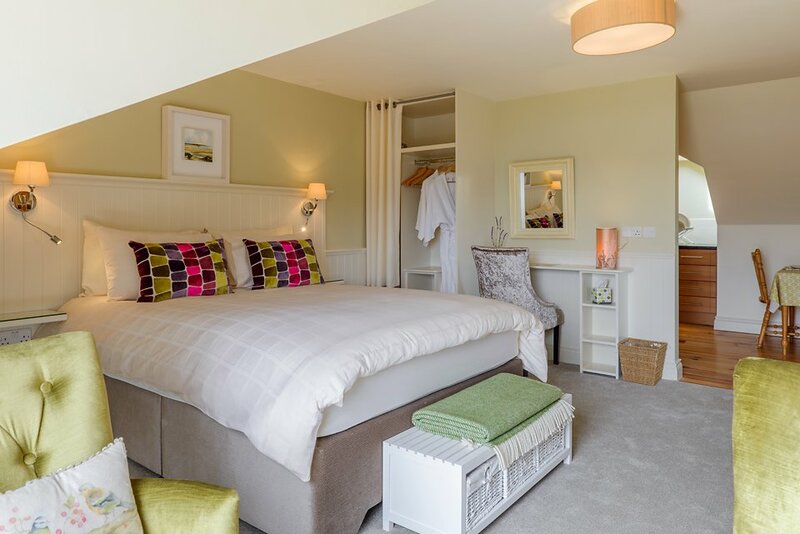 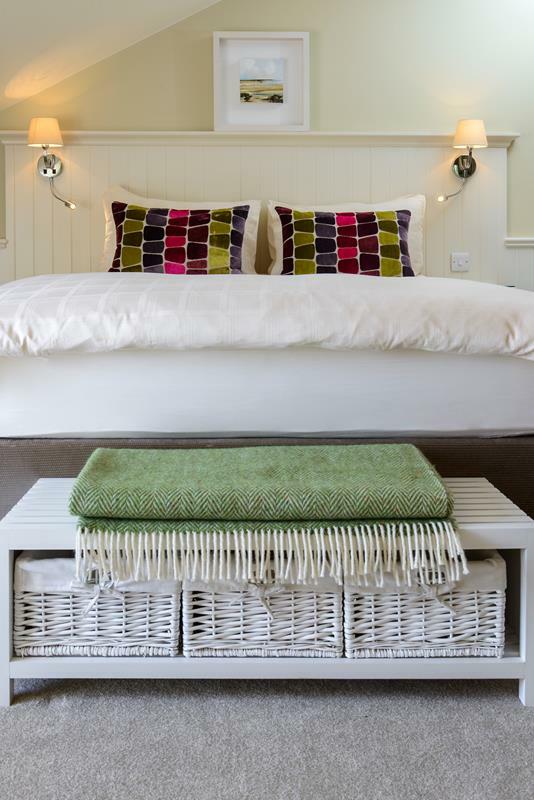 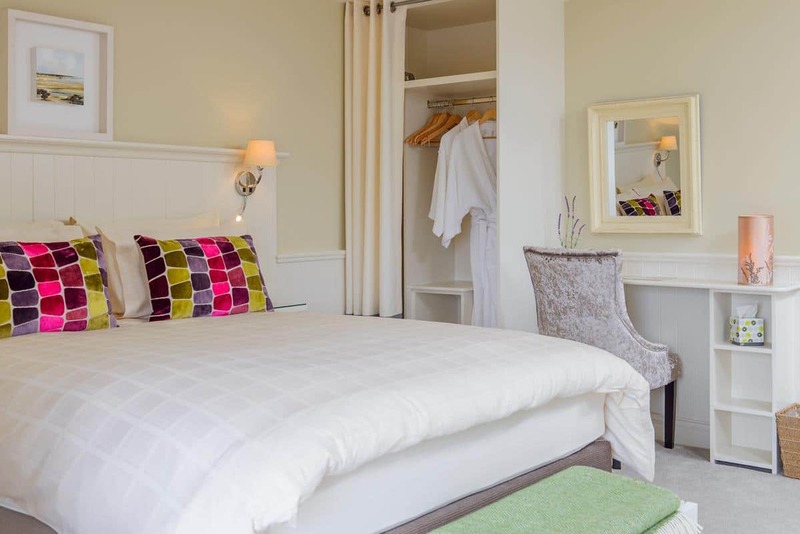 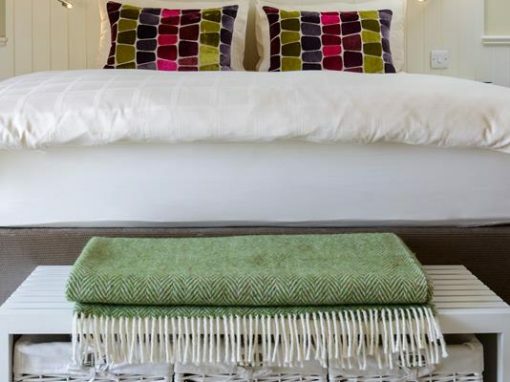 It has one double bed dressed in soft & sumptuous bedding from where you can overlook the Bay. 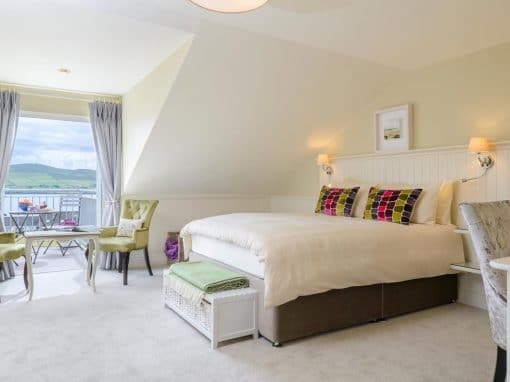 This area also has seating that overlooks the double french doors that open on to the balcony. 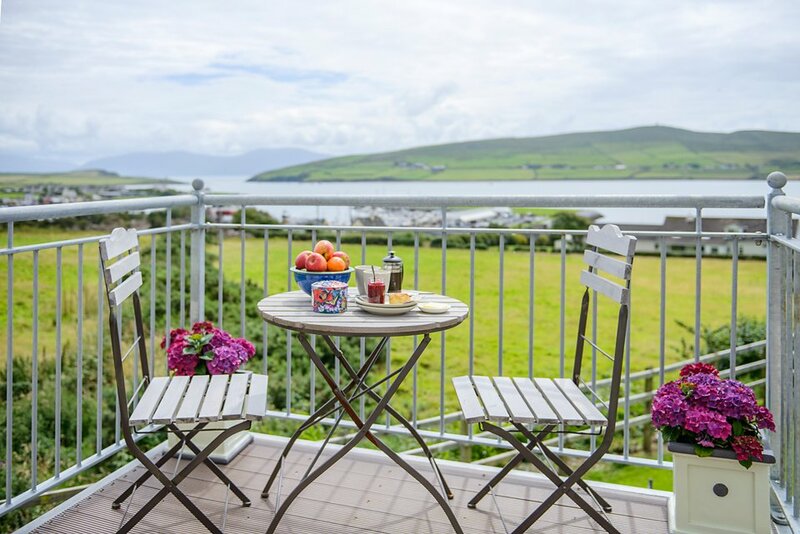 Breakfast on the balcony or a glass of wine watching the sunset are the perfect ways to start & end your day from this location. 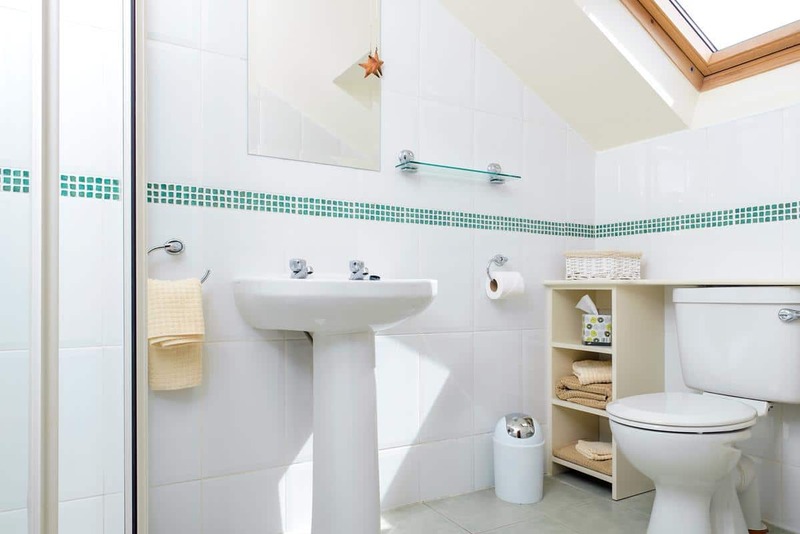 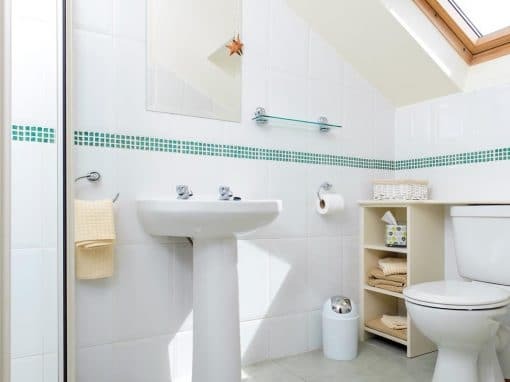 There is an en-suite with an electric shower & ample storage along with further storage for luggage & clothing in two other areas of the studio. 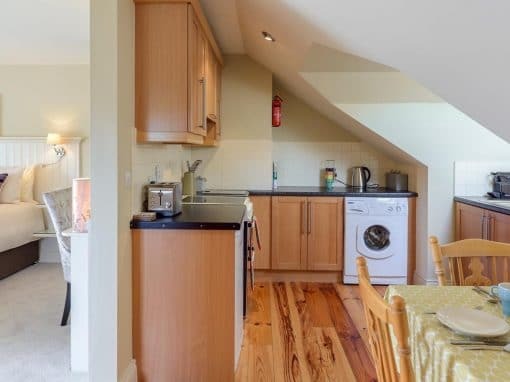 The fully equipped kitchen has an electric hob, oven & grill along with a fridge freezer & Nespresso along with all necessary cooking equipment. 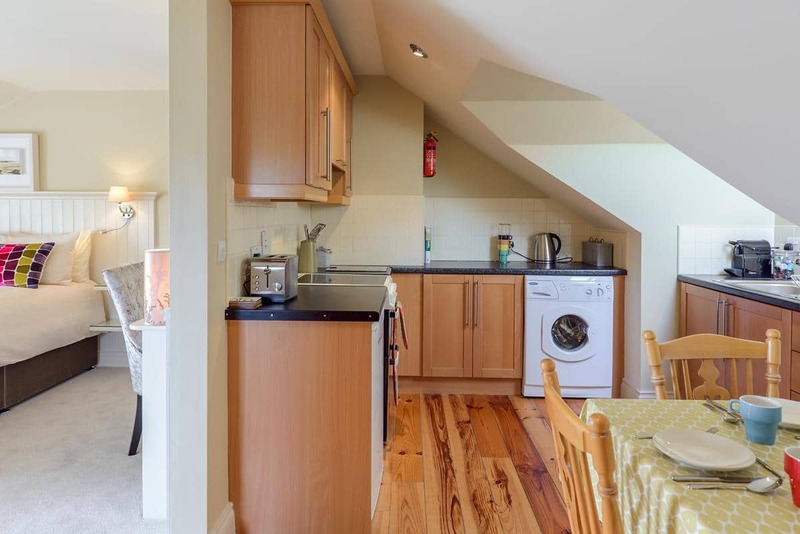 There is a dining table with seating along with a washing machine & clothes line in the garden below. 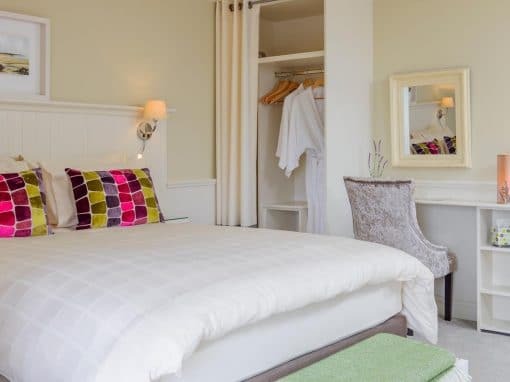 An ironing board, iron, tv with satellite channels, DVD player & hairdryer are also provided along with fleece throws to wrap up in for evenings on the balcony. 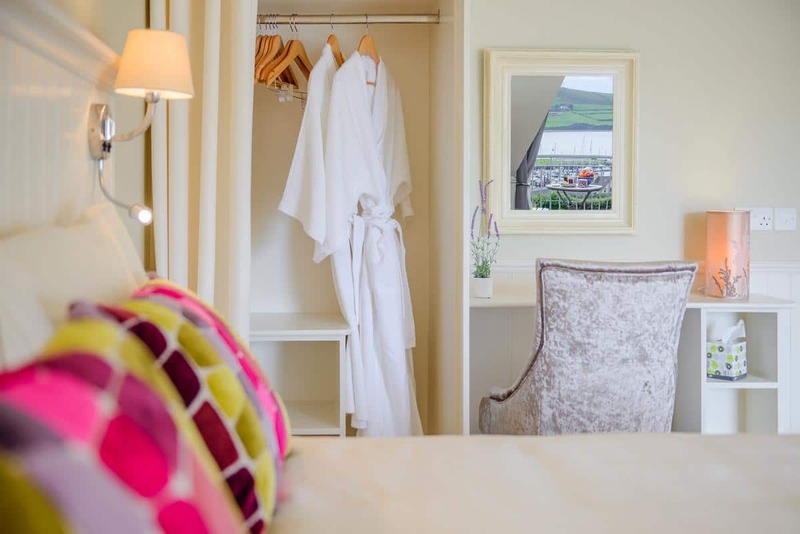 Dressing gowns, slippers, books & magazines are provided to let you lull & indulge that little longer if desired. 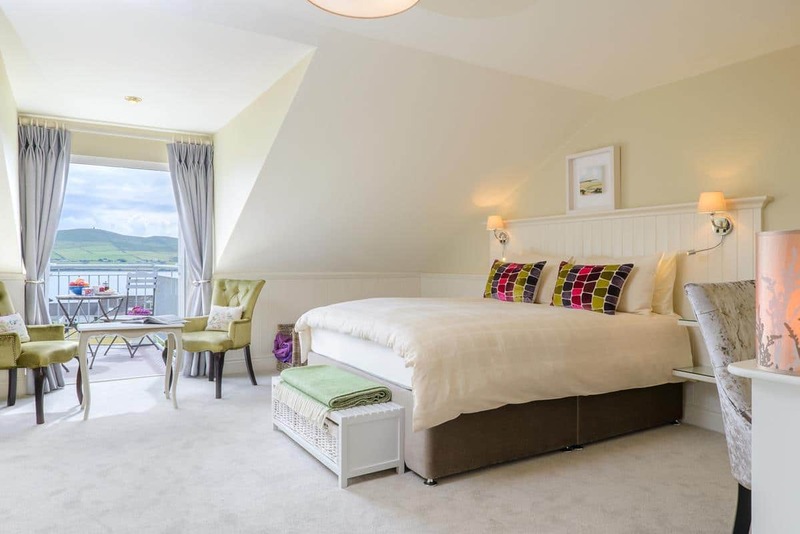 Due to the balcony this property is not suitable for children. 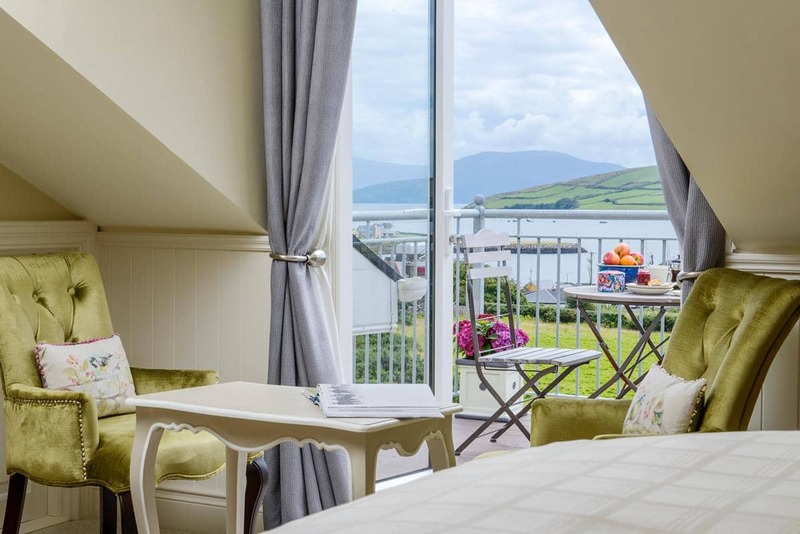 Nightly rate of €135 high season & €125 low season, min 3 night stay.